According to police records, Spencer's husband deposited money from the city that was supposed to go to the League of California Cities. Spencer says she doesn't think the missing money is a "big deal." Alameda Mayor Trish Herrera Spencer has yet to repay $100 in checks that were made out to the League of California Cities but, according to public records, were deposited into her bank account, the Express has learned. The two $50 checks were supposed to pay for dinners that Spencer enjoyed at League of California Cities events. Spencer has denied pocketing the checks illegally, but records from the Alameda Police Department and the city of Alameda state that the checks were deposited into Spencer's Bank of America account. According to public records, police also have obtained security camera footage of Spencer's husband, Joel Spencer, depositing one of the two $50 checks into their bank's ATM machine on Park Street in Alameda. The Express has obtained copies of the deposited checks and documents that state that Bank of America processed the checks through the Spencers' bank account. 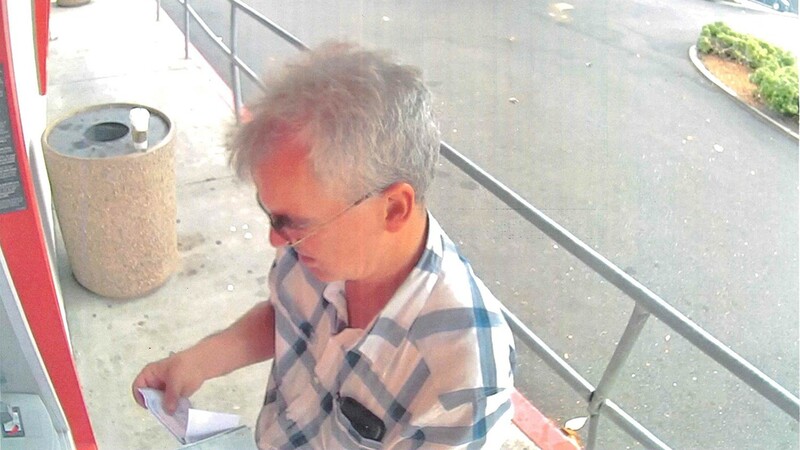 The Express also obtained copies of still photos of Joel Spencer depositing what Alameda city officials said was one of the checks at the Park Street ATM. Alameda Police Chief Paul Rolleri declined to comment for this report. But in a Jan. 24 email that Rolleri wrote to other city officials, he said of the mayor: "Wow, she's something else. I find it more than a little ironic that she loves to scold people about 'the people's money' in open [c]ouncil meetings, but cannot see the ethical issue of her husband depositing a [c]ity of Alameda check at her bank's ATM." City officials first learned that the $100 in checks were missing about a year ago, when the city's finance department was contacted by the League of California Cities. During the course of reconciling its books, the league noticed that Alameda had twice within past nine months neglected to pay for monthly dinners that were attended by Alameda public officials. Alameda Finance Director Elena Adair inquired into where the $100 could have gone. She learned that the two checks in question — both issued by the city of Alameda to the League of California Cities — had been given to Mayor Spencer, who was supposed to hand deliver them to the league, records show. But when city staff confronted Spencer about what happened to the checks, the mayor denied cashing them. The Alameda Police Department then looked into the matter and found that the checks had been deposited into the Spencers' Bank of America account — rather than given to the League of California Cities, records show. Police also retrieved security photos of Joel Spencer at the BofA Park Street ATM on June 26, 2017 depositing what police and city officials said was one of the checks. The other check was deposited into the Spencers' account at a BofA branch in San Ramon, according to public records. Police, however, were unable to retrieve security footage of that deposit. According to public records, BofA processed the checks even though they were made out to the League of California Cities and were not endorsed. Banks routinely process unendorsed checks at ATMs and do not always confirm that checks were actually made out to the person who deposited them. For her part, Mayor Spencer continues to deny depositing the checks. When first confronted about the missing $100, she said she has no plans to reimburse the city. She also has suggested that the whole thing was possibly a clerical error on the part of the city's finance department. Later, Spencer said that she might have made an error and that if city officials could prove to her that she and her husband had deposited the checks, she "would return the money." Alameda city staffers, according to emails, appeared highly reluctant at first about having to confront the mayor over the incident, while also describing discomfort and astonishment that Spencer would not simply repay the city given the fact that she has repeatedly preached fiscal restraint over the past four years. In his Jan. 24, 2018 email, Chief Rolleri suggested to then-Alameda Assistant City Manager Liz Warmerdam that the city place more restrictions on the mayor's spending. "I also think that because of this incident, she should receive a memo from the [c]ity and make her pay for her expenses up front and provide receipts if she wants to be reimbursed." City finance department officials subsequently emailed Spencer, again asking to be reimbursed or, "to simplify the matter, [f]inance will deduct the amount from your expense reimbursement request." In response, Spencer wrote, "After sharing the documents with my bank, it is my understanding that I did not receive said monies, as I've stated before, and thus do not authorize you to deduct said funds from my expense reimbursement." Spencer's email set off alarm bells at City Hall. 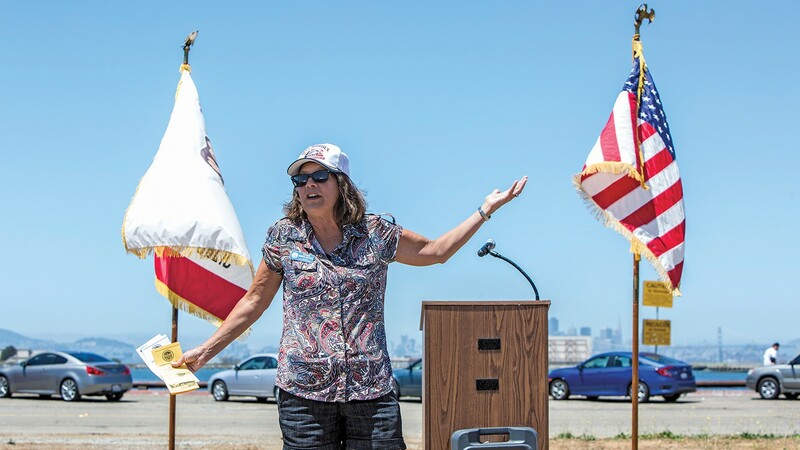 Alameda City Attorney Janet Kern was informed of the checks by then-City Manager Jill Keimach, according to emails, and Keimach, Rolleri, and Warmerdam raised the possibility of the city opening an official investigation of the issue. "Even if she didn't get the money, as she states, that's not our problem and something she should take up with her bank. We have proof that her husband deposited a city check that supposed to go to the League," Warmerdam wrote to Edwin Gato, the city's finances services manager. "As a result of her actions, the city had to pay twice. It is her responsibility to make it right, not ours." In another email, Warmerdam wrote to Rolleri, "Jill is going to talk to her. If she still does not comply, our next step may be to open an investigation, as Elena [Adair] outlined originally to the mayor." In an initial interview, Spencer said she didn't recall having a conversation with Keimach over the matter. Eventually, the city was reimbursed by its banking institution — Wells Fargo — for one $50 check through a fraud claim. The city eventually cut another $50 check to the League of California Cities. When I initially asked Spencer about the two checks and comments made by Rolleri, the mayor denied having any knowledge of the incident. Emails, however, clearly show that Spencer was in the loop as city staffers attempted to figure out what happened to the checks, including a Dec. 18 email from Adair to Spencer that included an attachment from her own financial institution. In a follow-up interview, Spencer minimized the importance of the incident. "I didn't think it was a big deal." The mayor also said that her husband declined to comment for this report. "My husband has a right to privacy," she said. "He's not a public figure." Mayor Spencer also questioned why Rolleri was so critical of her in the emails. "I'm surprised the chief is involved in all of this. Seems weird. The timeline is curious to me, because there was a lot of things going on at the time," Spencer added. Spencer's husband, Joel Spencer, deposited one of the two $50 checks into their bank's ATM machine on Park Street in Alameda, according to police records. The time frame, based on the emails, coincides with the months when Keimach had accused two councilmembers of illegally pressuring her to hire a candidate for fire chief supported by the firefighters' union. The most critical emails from Rolleri and Warmerdam in January over the missing $100 occurred just days before an independent investigator gave the council his final report on the fire chief controversy in a closed session. The report included a bombshell that Keimach secretly recorded Councilmembers Malia Vella and Jim Oddie without their consent (the city council and Keimach later agreed to part ways after she received a $900,000 settlement package). In addition, it was Rolleri who set off the entire city manager scandal last October when he alleged to the East Bay Times that Oddie suggested to him that if Keimach did not hire the union's candidate, then she might be fired. Antipathy between Spencer and Keimach was also clear from the start when Spencer voted against hiring her in 2016. This is also not the first time that Spencer and her husband have been enmeshed in controversy on the Island with police and Rolleri. In 2016, Spencer had demanded to discuss with Rolleri an issue in Alameda involving a police officer who had arrested Joel Spencer for alleged drunken driving and speeding. The District Attorney's Office later said that Joel Spencer's blood alcohol was 0.15 percent, nearly twice the legal limit. Joel Spencer subsequently filed a claim against the city, alleging that Alameda police had illegally targeted him. But then he withdrew the claim.